Qualcomm has announced the industry’s first fully integrated SoC with support for Wi-Fi-standard 802.11ac Wave 2 for use in routers, gateways, and wireless access points. The chipset includes a processor Qualcomm Internet Processor (IPQ), Qualcomm VIVE technology with Qualcomm MU | EFX MU-MIMO, native support for Gigabit Internet connections, technology and support Qualcomm StreamBoost DBS-broadcast and transit LTE-connection. Chipset IPQ40x8 / x9 designed for a wide range of devices including home routers, enterprise-class access points, LTE-gateways and carrier-grade wireless signal amplifiers. Fully integrated solution possible to achieve better performance and network efficiency. New combines two integrated radio module 2×2, capable of data transmission on PHY rates of up to 1.73 Gb / s, quad central processor based on the ARM architecture and Gigabit Ethernet-switch. Thanks to the full integration of all components of the company managed to reduce the cost of ready-made solutions based on IPQ40x8 / x9, reduce their size and power consumption. In addition, the new chipset can be configured for simultaneous operation in the 2.4 GHz and 5 GHz or so that both the radio module operates at a frequency of 5 GHz. “With the introduction of this system-on-chip company Qualcomm Atheros has created a new level of intelligent gateway, which is economically optimized for OEM-manufacturers and operators is a full featured, as well as bring 802.11ac Wave 2 enterprise and consumer devices,” – said Tony Hsu senior director of product management, Qualcomm Atheros. 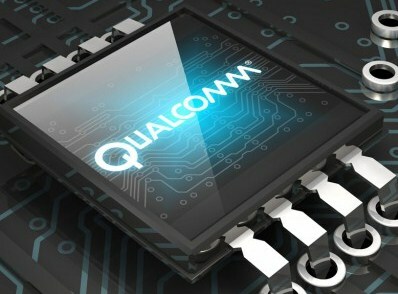 The first solutions based on Qualcomm IPQ40x8 / x9 hit the market in the first quarter of next year.